Ivesta Technologies (IVT) is a 12-year-old Publishing services company with excellent one-to-one solutions for publishing. Our clients enumerate on us for very competitive price, high quality, accurate, on-time projects perpetually. We have been steadily expanding our presence and publishers list globally in the recent years. We are the perfect target for publishers who are seeking high-quality Editorial, Typesetting, Arts and Illustrations, Data Conversion, E-Book conversion, E-Learning services, etc., at the most cost-efficient price point possible. IVT leverages its decades of experience in providing the highest quality service at a very competitive price. 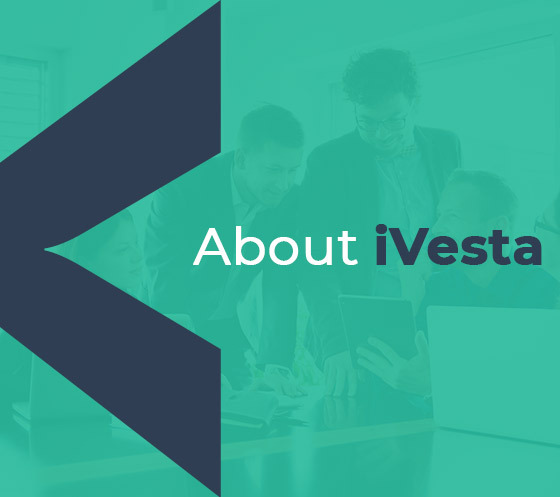 We are Ivesta technologies have ventured into Copyediting, Arts and Illustrations, Typesetting, E-Book, E-Learning, etc. and have grown to get verified (covered in ‘Our Certifications’) over a decade’s service. Over this time, we have specialized in offshore publishing and resource allocation to meet client’s quality and timeline demands. In the past 12 years, IVT had exhibited the best in the publishing industry. Our publishing solutions provide our clients with a suite of services to choose from, enabling them to customize their project to completely fulfill their needs for each module. Our team consists of members who are highly experienced professionals with specific training in typesetting specifications and style. We will serve our clientele with utmost accuracy and go miles and miles beyond generations. We leads the realm of online publishing and content services while contributing to improving business standards and practices. We are growing to be a trendsetter in the industry and stay ahead of the curve in terms of quality and professionalism. IVT, a company with a culture that attracts and nurtures extraordinarily talented people, which can sustain itself for at least 100 years. Create, Cater and Lead in the processes and technologies of all market segments. Grow into a critical strategic contributor to customer's business. Excel in quality and deliverance without compromise. Sensitize the talent pool to realize their best and strive to nurture the resources. Establish smooth communication and work culture. Stay highly professional in terms of confidentiality and integrity. To share an uncompromising belief in providing our clients the highest quality with perpetual amenity. Our strength lies is tailor-made solutions to client’s concerns and problems. This directly reflects in our smooth relationship we strive with our clients. This is feasible by virtue of equal emphasis and groundwork goes behind the scenes starting from the recruiting talented minds to setting up focused in-house training that not only satisfies clients' needs but also makes these experts a complete professional. This is a win-win and so we always have the best talent and the best minds perpetually choose to stay with us, allowing no room for any compromise or question in quality/timely deliverance. Mr. Kumaresan Vadivelu is an ambitious, aimable, industrious and business thought-leader with 15 years’ experience in MBA Marketing who's also the founder of Ivesta Technologies (IVT), processing since 12 years, to capitalize on the growing trend among academic publishers to offshore the typesetting of multilingual books and journals. Over the past 12 years, Mr. Kumaresan possesses prodigious knowledge of marketing optimization firm that helps clients get more bang for their publishing service. His diligent and immeasurable aptitude has made the success of IVT. 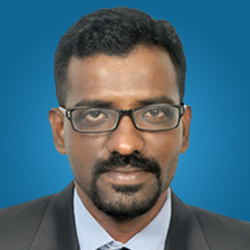 Mr. Karthikeyan Mariappan, a competent, reliable and authentic professional with 15+ years of experience in Finance and Marketing. He is astute in collecting financial data and analyze systematically assembled financial statements to achieve business objectives using multiple methodologies. He led the compilation and analysis of consolidated budgets and long range plans. He also build control processes, systems, and reporting to support the business and prepare presentations to Board of Directors and Senior Management Team in such areas as revenue, expenses, cost of sales, cash flow forecasting, and working capital. Mr. Karthik’s significant contribution to IVT, leads the company to the triumph. Mr. Dhinakaran Arumugam, a multifaceted professional with 16+ years of experience in operations management and client servicing industry. 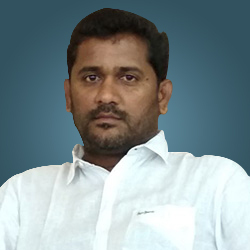 A Six Sigma Certificate holder and he has a vast industry experience to boast of. His industry knowledge is tremendous and comes from his past work experience at the best companies he has worked for. Starting his career as a Paginator, he has been recognized by several corporate and community organizations. 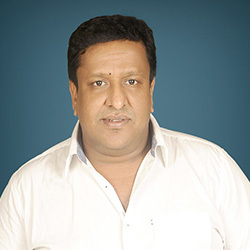 Being a part of RR Donnelley, SPi Global Private Limited, TNQ Books and Journals, HOV Services, he has gained immense experience to provide earliest possible notification of potential service disruption or degradation and recommending procedures to minimize the impact to customer develops business rationale & benefits of any proposed changes. He is currently the company's (IVT's) Manager with responsibility for projects & Business Development Plans. Prior to forming IVT as a separate company and rise from a small company to a major system, a person who has dedicated his vision and mission to the growth of the company. His class act towards IVT conquered the clients which lead to the successful path of IVT, who also believes deep Learning Improves Natural Language, Processing Making conversational supremacy real.